Hardcover, 10.5 x 9.5 in. / 80 pgs / 55 color. Artwork by Philip-Lorca diCorcia. Text by Peter Galassi. Back in Print! 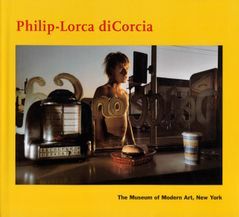 Philip-Lorca diCorcia's inventively staged and exquisitely crafted color photographs occupy a special place in contemporary art. Operating in the gap between postmodern fiction and documentary fact, between slick convention and fresh perception, they deliver a powerful emotional charge. The 55 color plates in this book, dating from 1978 to 1994, trace the evolution of a compelling and influential body of work. Beginning with enigmatic domestic scenarios whose protagonists are the photographer's family and friends, diCorcia moved on to an ambitious series in which Hollywood drifters and hustlers are pictured as emblematic figures of contemporary America. 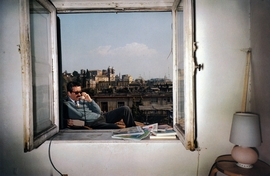 He proceeded to deploy his probing curiosity amid the energy and turmoil of big-city streets, reinvigorating a rich photographic tradition that had been dormant for nearly a generation. Edited by Katharina Dohm, Max Hollein. Text by Katharina Dohm, Geoff Dyer, Christoph Ribbat. FORMAT: Hardcover, 10.5 x 9.5 in. / 80 pgs / 55 color.